The Italian town of Marcianese last week was the capital of European fencing. Located in the province of Caserta, close to Napoli, the little town played host to the European Epee Cup. The competition brought together Europe’s top fencing teams. Representing Romania was the fencing team of Steaua Army Club in Bucharest, made of Ana-Maria Popescu, Alexandra Predescu, Greta Vereş and Raluca Sbârcia. The Romanians had an auspicious start in the competition, winning two group matches, the one against the English team Plymouth and the second against the Italian team Caserta. Then in the quarterfinals the Romanians outclassed Spain’s Club Esgrima Lazaro Cardenas. However, Steaua were defeated by Fiamme Oro, the team of the Italian Police. In the fight for the bronze medal, Steaua outperformed Aeronautica Militare, the team of the Italian air forces. This week, Radio Romania International has designated Ana-Maria Popescu the Athlete of the Week. Better known as Ana-Maria Branza to fencing lovers, our top epee fencer was born on November 26, 1984. She first compelled recognition in international competitions in 2001 when she emerged as world champion at the World Cadet Championships in Poland. In 2002, Ana-Maria Branza became a juniors’ world champion in Turkey. 2002 was an auspicious year for Ana-Maria, who amazed everybody coming in 3rd at the World Championships in Lisbon. At the Athens Olympics in 2004, when all hopes were pinned on Ana-Maria Branza, the Romanian fencer only came in 16th. Ana Maria then took her revenge in Beijing in 2008, where she walked away with silver, which was Romanian fencing’s best result at the Beijing Olympics. 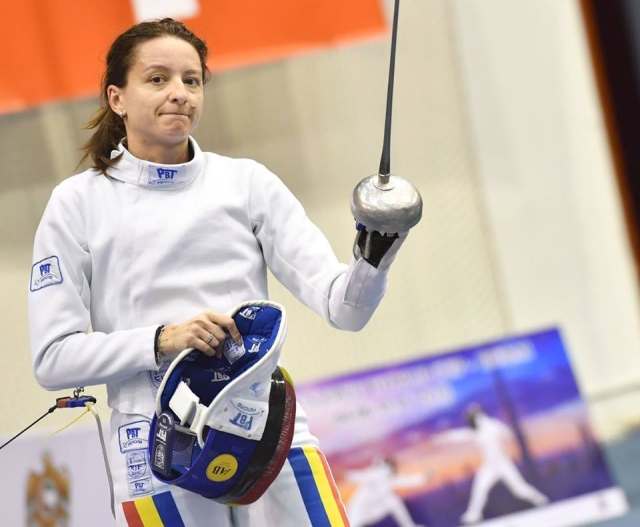 In 2010 and 2011, Ana-Maria Popescu was a member of the Romanian team that won the world epee title. In 2013, at the European Championships in Poland, Ana-Maria won the gold medal in the individual event and silver in the nations’ competition. At the European championship held in Strasbourg in 2014, and in Montreux, in 2015, Ana-Maria once again stepped onto the first step of the podium, with the Romanian team. However, Ana-Maria Popescu’s career best occurred in 2016. In the Rio Olympics, Ana-Maria was a member of the epee team that won the Olympic gold.